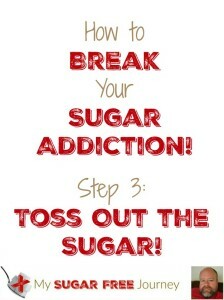 How to Break Your Sugar Habit - Step 3: Throw Out the Sugar! 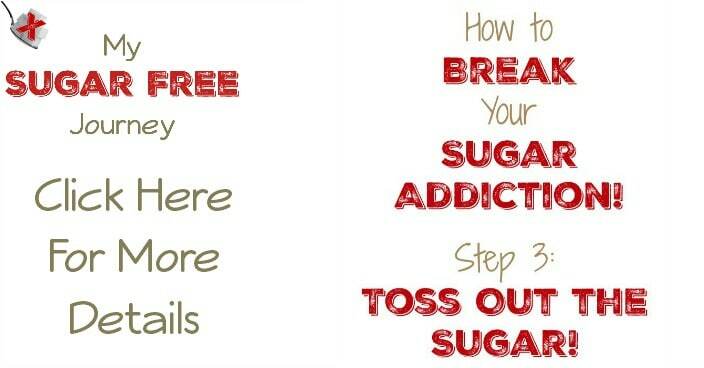 How to Break Your Sugar Habit – Step 3: Throw Out the Sugar! We are continuing with our series on 5 Steps to Eliminate Your Sugar Habit and now we are on to step 3 – Throw out that Sugar! This was probably one of the harder steps for me to accomplish because I’m so cheap. I really had to struggle with the idea hat I was “wasting” food and tried to convince myself it ok to have around “just in case”. 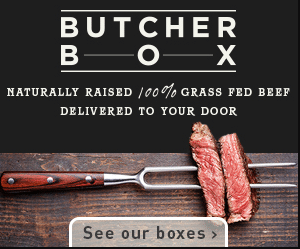 I’m so glad that I just bit the bullet and chucked it all because there were a few times that if I had anything in the house, I definitely would have eaten it. Not only that but I’m sure I would have convinced myself that eating it was a good thing because I had been so good and needed a little reward. Addiction really screws with your head! 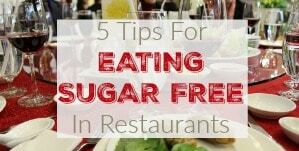 Here are a few tips I used to get through the process and get my house free of sugar. 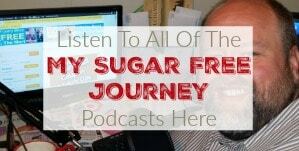 When I first started my sugar free journey, I was convinced that fructose was the root of all my problems and got rid of everything containing it from my house. But I also bought a huge bag of dextrose (sugar that is pure glucose, no fructose) from Amazon that I used in place of sugar. It took a lot more education for me to begin to realize that the issue with fructose was that it was everywhere but glucose had its own problems. As I’ve progressed and sugar has less and less hold over me, I’ve been able to remove more things from my diet that caused me health problems and weight gain. Just to give you a quick overview of how I’ve come; in the very beginning I stopped eating fructose, then removed sucrose as well, then I started taking out simple carbs that cause blood sugar spikes like grains and potatoes, then last month I finally stopped drinking Coke Zero and any other sugar free soft drinks. My plan for the near future is to be able to drink my nightly glass of tea without Sweet n’ Low and then I think I’ll be right about where I need to be. My point is that you shouldn’t feel bad about taking baby steps. One of the first recipes I posted on this site was for Sugar Free Bread that I worked really hard on at the time but now would never consider eating. 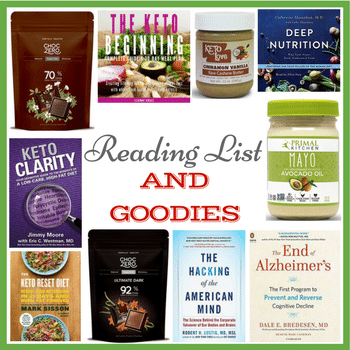 If you think you can jump in with both feet into the keto diet and remove everything that will cause an insulin response, then by all means do it. But I know that if I had done that, I probably would have just given up. I had to slip into it like a hot bath. Now I love the feeling that being in ketosis gives me and I love what the scale tells me every morning. Sugar is tricky. Food companies know it has a bad rep so they give it all kinds of different names to try to trip you up You’ve probably heard of High Fructose Corn Syrup, but how about Sorbitol? or Inulin? or Litesse? They point is, sugar hides so you need to keep this list of all of sugar’s different names handy. Also, it is wise to know the difference between sugars that contain fructose and those that don’t. That way if you have to make a choice, you can choose the product that has the sugar that doesn’t contain fructose because it does less damage. For instance, my wife loves Ranch Dressing but they all have sugar, except for the canister of dry powder mix. The packets have fructose but for some reason, the canisters just have maltodextrin, a sugar containing no fructose, only glucose. 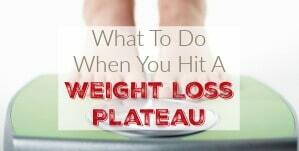 It’s not something I will eat but since Dian has lost all the weight she wants to lose, we keep it around for her. Life is a team sport and the important things are always done in community so don’t feel like you need to go at this alone. Get a friend or family member to help you throw out the junk. You might need help prying those Oreo’s out of your hands. 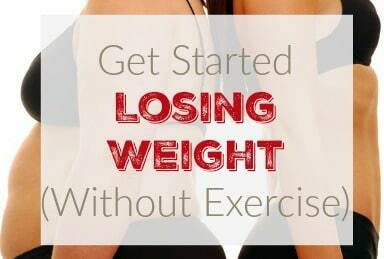 Enlisting help will also give you someone to be accountable to. If you know your helper is going to ask you how the diet is going next time you meet, you will feel a greater sense of obligation to see it through. Sugar is in EVERYTHING so don’t forget to check all your foods. I vividly remember the night I made my first sugar free meal and at the end of it, I grabbed my trusty bottle of garlic salt to season my food and after I used it, I happened to look at the ingredients and right there snuggled between the garlic powder and salt was sugar. Who puts sugar in garlic salt? It’s crazy but it just goes to show you how prevalent it is. Just because you aren’t eating it, doesn’t mean someone else can’t. There are probably shelters or communal pantries around you somewhere that could use an influx of free food. Do a google search or make a few phone calls to find someone who would love to take it. If you are deciding to cut the sugar out of your diet, please contact me and let me know how it’s going or if I can help in any way. 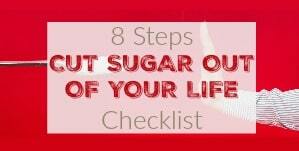 I also have a handy checklist you can use to get rid of the sugar and feel free to subscribe to my daily email to never miss a post. Thanks for reading!